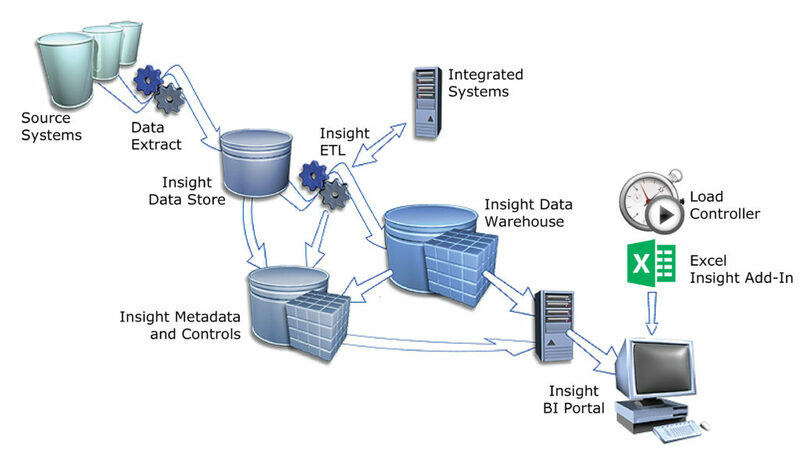 Insight Enterprise provides a full data warehouse architecture; incorporating all the tools necessary, to ensure enterprise-class reliability, security, and performance. On-demand reporting and analysis, flexible delivery options and integrated report management ensure that users have easy access to valuable up-to-date business information. Tight integration with software typically used in most insurance companies, such as Microsoft Office, takes advantage of existing expertise and reduces the time needed to deliver valuable business functionality. Wide-ranging reporting options include traditional (paper-oriented) and interactive (pivot) reports to meet the needs of varied users. As a server-based solution, Insight Enterprise easily handles high-volume information needs. The system includes all the tools and processes necessary to manage the entire BI life cycle. From data extract to report delivery, the system supports the most complex and demanding reporting and analysis environments. Each business area has control over their analytics and reporting; effectively balanced with unified business rules and definitions, and centralized security and management. Flexible, role-based security helps ensure that reports comply with corporate security requirements. Repository with report management and usage tracking tools enable effective management and control of reports. Support for numerous data sources, which enables the system to integrate business information from multiple systems and database types. Data extracts to and from valuation systems, to enable the management and validation of data exchanged between systems, giving users the ultimate confidence in the results presented.